all prices include the 19% VAT/sales tax. for clients outside of the European Union ( like Switzerland, Norvegia, USA...) I will certainly deduct the 19% manuall off the price. Payment is possible with POD (Pay on delivery), credit card (Visa, Mastercard and American Express) , and bank transfer with Swiftcode and IBAN (BIC ). 14-days money-back guarrante. Buy at no risk. Thank you very much for interest and enjoy your watch(es)! Russian watchmakers also have learned a lot in terms of quality control and final checks have strongly improved on the models that are manufactured nowadays. 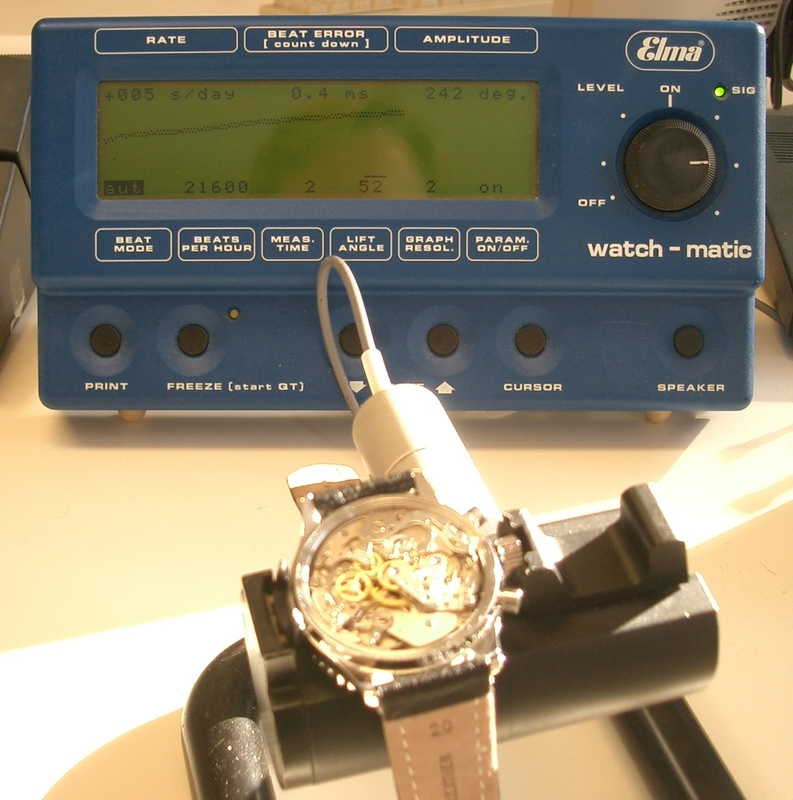 In order to grant you the best possible security, I check all watches before shipping them and I examine time precision and time deviation on the ‘Elma – Watch-Matic’ watch timer (as shown on your right) and try to get the best possible calibration. If there is a problem with your watch in spite of all this, I grant a full two-year warranty on all watches purchased from me and beyond that, I also offer all of my customers a repair service at a very reasonable rate. The watches with 3 and 5 ATM tightness are not really water–resistant. Rain, sports and sweat are certainly no problem, but if you want to have douzens of years fun with these watches, please don´t take them into the water or shower. The watches with 10 ATM ( with screwed crowns ) are suitable even for swimming and shower.